Today was mostly a core day. 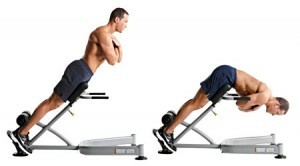 I included weighted back extensions where I held a 25 pound plate to my chest while doing the movement. Ab roll outs nose to ground, 3 sets of 10. Close, middle and wide grip.